I have fond memories of spending time around the fondue pot with my parents and brother in the 70's. We would have company sometimes join us as we talked all night long and the fondue was always hot ready to cook anything on the table. My memories were so fond that I decided to do a fondue with my children on Christmas Eve for dinner. We had a fun time around the table and helping each other when our chicken fell off the skewer into the pot. The main thing that has changed over the years is the food we fondue. We have gone with a healthier approach to our fondue experience. The best thing about the fondue is that the host is relaxing with the guests and everyone can visit together in a very relaxed atmosphere. 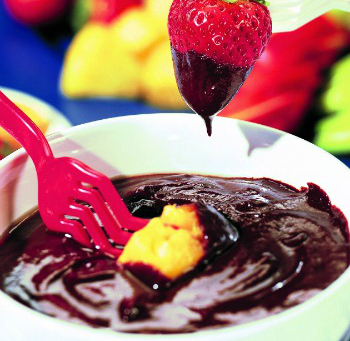 Check out the kids' favorite chocolate fondue that isn't just for kids - adults like it too! 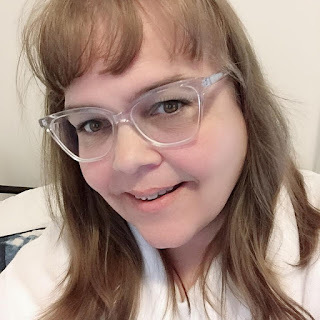 LANA SIMON is a respected and accomplished food writer and editor. She is also the author of The 125 Best Fondue Recipes, 125 Best Indoor Grill Recipes and 125 Best Ground Meat Recipes. 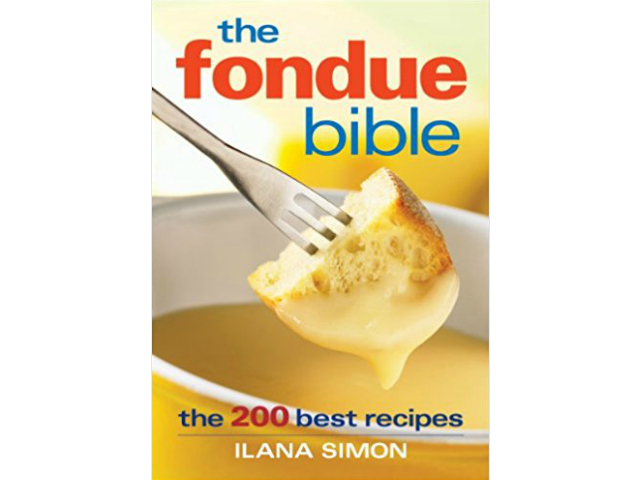 Excerpted from The Fondue Bible by Ilana Simon © 2013 Robert Rose Inc. www.robertrose.ca. This delicious chocolate fondue is a showstopper and a favorite of young and old alike! The chocolate can be chopped ahead of time and the fruit and dippers can be cut up as well (leave bananas for the last minute). Just sprinkle a little lemon juice on the apple and pear wedges to keep them from turning brown. In the top of a double boiler over hot (not boiling) water, heat cream until warm. Add chocolate, stirring constantly until melted and smooth. Remove from heat and transfer immediately to dessert fondue pot over a candle flame. Add sprinkles just before serving. Strawberries, banana slices, orange sections, pear wedges, apple wedges, vanilla wafers, sponge cake cubes, marshmallows, maraschino cherries. Have you ever had a fondue? What are some of the things you like to cook in your fondue pot?